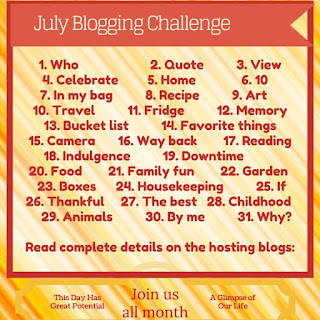 To kick off our blogging challenge, introduce yourself. 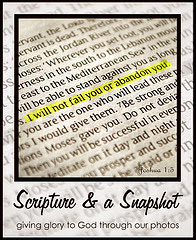 If you have an about me page on your blog, link it. If not, now is a great time to create one. If you don't want to do that, you can still join the fun; share a little about yourself in a post and link it below. Who are you? Introduce yourself, share a photo if you'd like to. Lynn and I are looking forward to getting to know you. Each day this month we have a prompt to help you get started. We hope this promotes a habit of writing more frequently as well as enjoying blogging. Add your link below and share about this challenge with your friends. 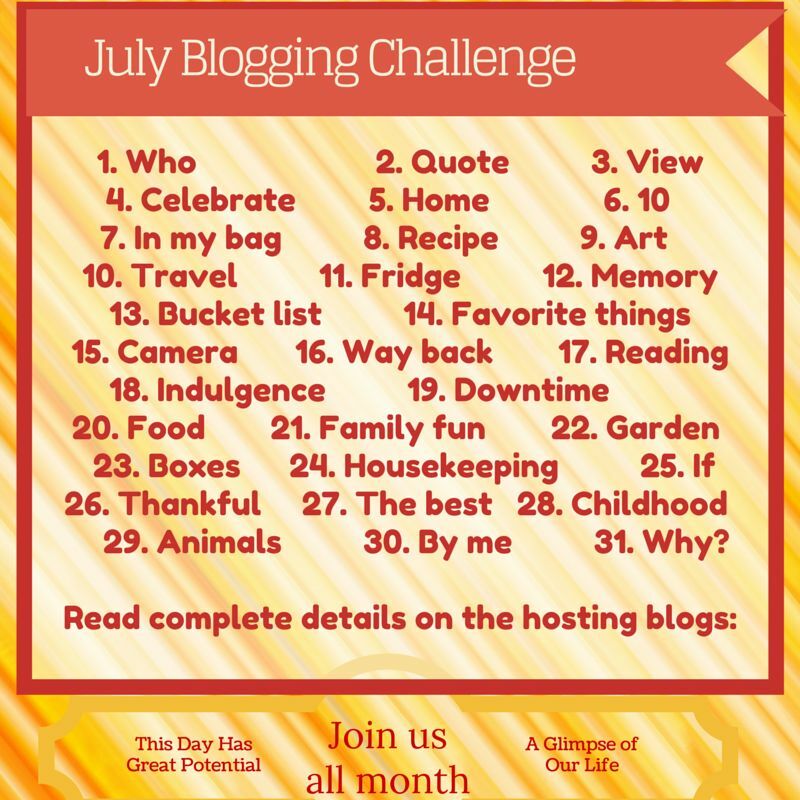 After you add your link below, please grab our challenge widget and add it to your blog this month or share it with your friends. It is! Thank you so much for inviting me to join you in this challenge. We are having fun with it. Thanks for linking up with us! Thanks for joining day one. It is going to be a challenge for me, too, but I needed the change.